Would you like your legacy to be thriving families? Focus on the Family Africa is a non-profit organisation that exists to serve and strengthen families. We are supported by means of donor funding and seek to assist in rectifying the socioeconomic disparity by targeting the root issue: the family unit (or lack thereof). By providing the tools necessary to create strong, healthy and lasting marriages we are contributing towards increased social stability and economic wealth. We do this by assisting couples in their journey, whether they need counselling through a challenge, or just need some refreshing and guidance on how to strengthen their relationship. 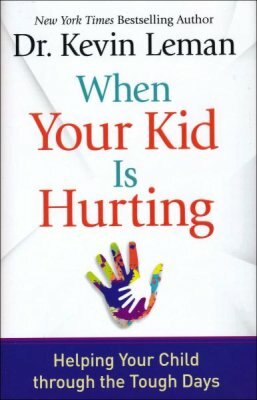 We also equip parents to make the right emotional and spiritual investments in their children, and support youth, many in low income communities who are mostly growing up without parents – if any family at all. We know that healing and fixing broken families is not an easy task and that the healing and hope necessary for breakthrough will only come through people experiencing a personal relationship with Jesus Christ, that is why the gospel is at the heart of our organisation and our mission. Having a Will is so important – Do you have one? Simply speaking a Will is a legal document expressing your wishes regarding how your assets are to be distributed upon your death. Not having a Will in place automatically appoints the state as “executor” over all your possessions and assets. Therefore all major decisions regarding how your assets are to be distributed will be made by the state. This can be particularly distressing for your loved ones who remain behind. Not only will the process become even more drawn out but further attract the maximum amount of tax being incurred in the administration of your estate. Ultimately the outcome may not only be a more costly one but also one that you are not necessarily in agreement with. Even if you don’t consider yourself to be a wealthy person every individual should make a concerted effort to have a Will in place. By not having a Will – no gift or “bequest” can be made from your estate without a stated designation. 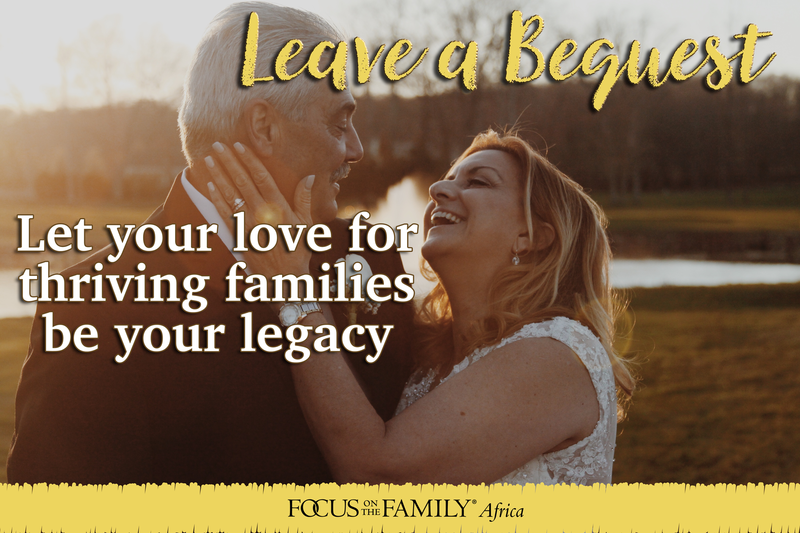 Naming an organisation like FOCUS ON THE FAMILY AFRICA in your Will allows you to leave a lasting legacy that can help others beyond your lifetime. What if you already have a Will? As a result of circumstances changing, it is vitally important to review your Will at least annually by ensuring that it is still valid and in accordance with your wishes. Changes can be made easily and affordably through a legal document called a codicil. A trusted attorney, trust company, accountant, financial advisor or institution will be able to assist you accordingly. It’s quite easy to add an organisation like FOCUS ON THE FAMILY AFRICA to your Will, or to make any adjustments to the details later should you change your mind. There are a few easy steps to creating a Will. Start by deciding who you want to remember in your Will. First and foremost always ensure that you have made sufficient provision for your loved ones and any other dependents or minors in your Will. Specific bequest: – A specific bequest involves making a gift of a specific asset such as a vehicle, item of jewellery, painting or a gift for a specific Rand value amount For example, you may wish to leave R10 000 to Focus on the Family Africa. Percentage bequest: – Another kind of specific bequest involves leaving a specific percentage of your overall estate to charity. For example you may wish to leave 10% of your estate to Focus on the Family Africa. Residual bequest: – A residual bequest is made from the balance of an estate after the will has distributed each of the specific bequests. A common residual involves leaving a percentage of the residue of the estate to charity. For example, you may wish to leave 30% the residue of your estate to Focus on the Family Africa. Contingent bequest: – A contingent bequest is made to charity only if the purpose of the primary request cannot be met. For example, you could leave specific property, such as a car, to a relative but the bequest language could provide that if the relative is no longer alive at the time of your death, the car will go to Focus on the Family Africa. Life Assurance or Retirement Policy: As people age they often find that they no longer need financial protection in certain areas. If that describes you, your policy can be used to support the ministry of Focus on the Family Africa. The final step in the process would be to setup an appointment to visit a trusted financial advisor or attorney who will assist you to draw up your Will. “I bequeath to Focus on the Family Africa NPC (Reg. No. 1993/006937/08) an amount of R….. (alternatively a percentage of my estate, or the residue of my estate) for work in initiating and assisting with Orphan Care programmes for children infected/ affected by HIV AIDS, which aim to meet physical, emotional and spiritual needs of those who have no family. If this bequest at any time, in the judgement of all of the directors of Focus on the Family Africa, can no longer be used for this purpose, Focus on the Family Africa may use the bequest for any goal that, in its judgement, corresponds most closely to my intentions. “I bequeath to Focus on the Family Africa NPC (Reg. No. 1993/006937/08) my collection of (books, paintings, etc.) comprising……. Gifts through wills are another way of giving beyond your own lifetime, helping to support future generations and their families thrive. Gifts through wills means that you have the use of your assets during your lifetime. You can consider many options to ensure that your bequest is personally meaningful. A bequest to Focus on the Family Africa is exempt from estate duty in terms of the relevant section of the Estate Duty Act, and thereby reduces the value of the estate which is subject to taxation. Those who reside in countries outside the Republic of South Africa are encouraged to contact Focus on the Family Africa for guidance on local estate duty laws. Upon request your gift will be appropriately recognized during your lifetime through annual newsletters which will keep you up to date on the day to day running of the organization, its aims and achievements. If you are considering a bequest but would like to ensure that your bequest will be used for a specific purpose, then please let us know. We would be happy to work with you and your attorney to help you identify ways to give and meet your charitable objectives. Tel: (031) 716 3300 Email: info@fotf.co.za Website: www.safamily.co.za Focus on the Family Africa is the trading name of Thriving Family (RF) NPC 1993/006937/08. Thriving Family (RF) NPC is a registered non-profit company, a Non-profit Organisation (034-783 NPO), is recognized by SARS as a public benefit organisation with 18A status (PBO 130001369), and is BBBEE Compliant.